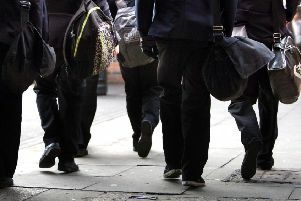 The pregnancy rate among under 18s in South Tyneside is at a record low, with experts saying sexting and online chats are replacing sexual relationships. In 1998, when the Office for National Statistics first started compiling conception data by local authority, the pregnancy rate for young women aged between 15 and 17 was 65 per 1,000. In the 12 months up to June 2017, the period covered by the latest statistics, that figure decreased by more than two thirds to 19 per 1,000. That’s above the England average of 18, which is also a record low. Katherine O’Brien, spokeswoman for the British Pregnancy Advisory Service (Bpas), said cultural changes among young people, such as drinking less and spending more time socialising online, had caused under 18 pregnancy rates to plummet. In total, 45 young women under 18 became pregnant in South Tyneside in the 12 months to June 2017. The under 18 conception rate is below the average for the North East, which is 25 per 1,000 young women.